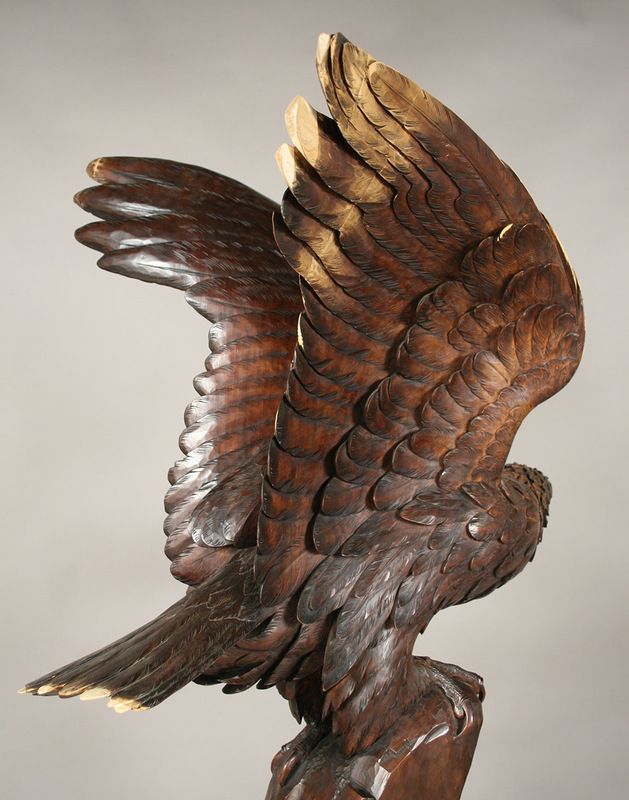 Wood Carved Eagle Conservation — Bernacki & Associates, Inc. This once-proud eagle “landed” at Bernacki & Associates in poor condition. Pieces of its carved left wing had detached, along with chipping and abrasions along the wing profile and feathered area. Further, an expansion crack ran along the base and the finish had become worn on the eagle’s wings, head and neck. Bernacki & Associates were happy to take this important piece of sculptural artwork under their wing. Missing parts were replaced with new, hand-carved elements and the detached wing sections repaired. Finish was restored to match existing color.